The Calgary-born novelist talks with Shelagh Rogers about her much talked about book. 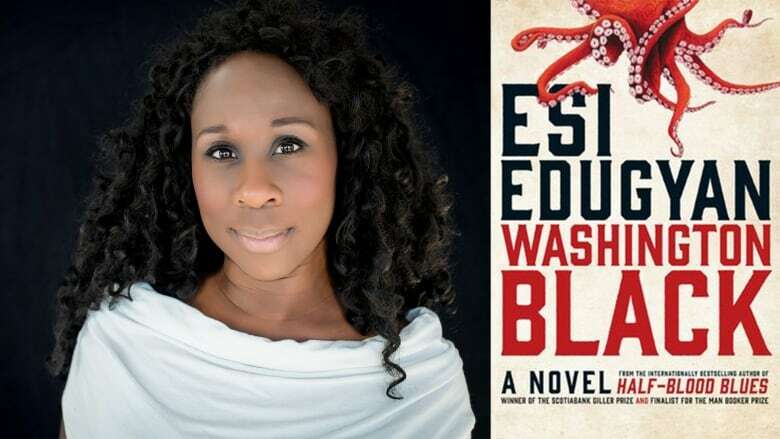 Washington Black by Calgary-born author Esi Edugyan is an epic novel that looks at race and identity from a historical fiction perspective. The book tells the story of 11-year-old Washington "Wash" Black, a slave on a Barbados sugar plantation in the 19th century. His master is Englishman Christopher Wilde, who is obsessed with developing a machine that can fly. When a man is killed, Wilde must choose between his family and saving Black's life — and the choice results in an adventure around the world for Wash. The remarkable novel won the 2018 Scotiabank Giller Prize, the Man Booker Prize shortlist and the Rogers Writers' Trust Fiction Prize shortlist. "George Washington Black is referred to in the novel as Wash. He is a preteen field slave who has known no other life. He was born on the plantation in Barbados and has been raised in great brutality. He is someone with a child's vulnerability, but also has this awareness that his life is governed by certain forces that he has no control over." "I was doing a lot of research into the history of slavery in the Caribbean. The acts of brutality described in the novel are things that came directly from history. There's nothing I made up. It was completely beyond inhumane and unbelievable. I felt it was important to show that and to not flinch away from it." "Washington is somebody who is searching for that sense of self. He's somebody who's been confined to a very particular mode of life for years. This is all he knows. He gets taken away from this in a very dramatic way into a place that is completely alien to him. Bu this is the beginning of his realization of freedom. There's a great ambiguity in his future which is intentional. By the end of the book, we feel like he's reached some measure of self-understanding." Esi Edugyan's comments have been edited for length and clarity.